Jazz can be very daunting to play: all those chords coming thick and fast. But there are sequences that are easy to play over, providing you keep within the same key. For instance, if you are soloing in C major against the chords C, F and G (the 'primary' chords in C) then anything you play will sound OK. Incidentally, this goes for the 'secondary' chords Am, Dm and Em too. Just play the notes of the C major scale and let the chords make you sound good. Easy? Well you might think so but it can still be hard to play anything. This is like writer's block. Asking a musician to play up and down a scale is a lot like asking an author to type the alphabet on their blank sheet of paper. It's writing but it's not very creative! But writing gives us a clue. Imagine the instrument you are playing is your voice and use it to say "Humpty Dumpty sat on the wall". Try it again with some different notes. Now you have a musical phrase. Only you know you are really playing Humpty Dumpty. Now try some other lines you know. Something from Shakespeare perhaps? It doesn't have to rhyme; anything will do. You can tell your own story or describe how you felt on your way to wherever you are playing: "I burnt the toast so I had to make some more and that made me miss my bus and now I'm grumpy." Too long? Probably. So just take one part of it and play that: "I burnt the toast, I burnt the toast." Use another section for an answering phrase: "Now I'm grumpy". Telling your own story in this way can make it easier to connect emotionally with the music you are playing. 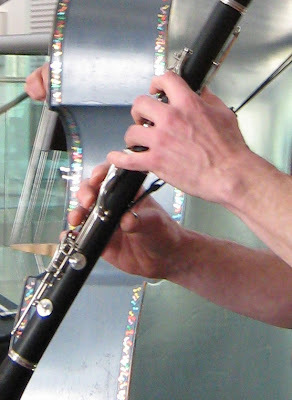 As you become practised at this technique you can react spontaneously to events as you play. Whether your audience is the Albert Hall or the rest of your class you can express annoyance with someone who came in late or proclaim your love for the attractive person in the front row. And they'll never know (at least until you tell them). Having got started with improvising in this way you may find you have an incentive to tackle the esoteric arts of modulation and key change. But that's for a future post. I never really got on with the Walkman. Although small for its time it was still cumbersome and the novelty of music on the go quickly wore off. The mp3 player is less so but I realise that what I don't like is having music fed directly into my ears. I enjoy listening to music but also have a good memory for it and usually have something 'playing in my head'. The advantages of this are that I can't lose the player and it never runs out of batteries. And it nearly always plays something appropriate to the moment. 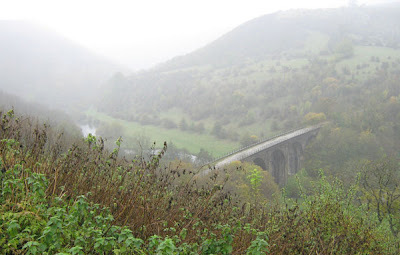 The best part of the trip was a walk near Monyash before the weekend crowds arrived. There were times when I could hear nothing but the occasional bird. (Even the head-player switched itself off.) Living in a city there is always some man-made sound going on. Screening out the unwanted noise becomes second nature but still requires effort. What I needed most was the sound of silence and that afternoon it came like rain to a desert. And then of course, this being England in October, it really did rain. But beautifully. 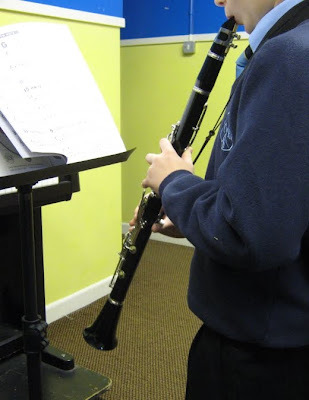 I did two more woodwind demonstrations this week which passed without a hitch. 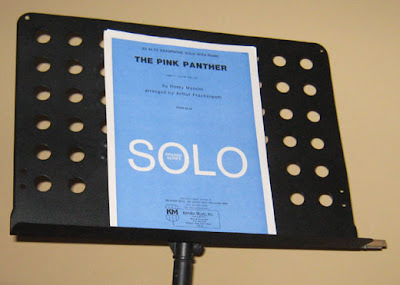 The Pink Panther theme always goes down well, as does The Simpsons music. I hold up 8-year old Lisa as an example of someone who's done a lot of practice to reach such a high standard. (I suspect, in his time, Bleeding Gums Murphy has done a lot of something too but I don't go there.) The clarinet brought some surprising responses because a character in Sponge Bob apparently plays it. Note to self: watch more TV. One year 7 class remains. I couldn't fit it into my schedule. When I asked about it I was told it was the special needs class: ten students, three helpers. I would be unlikely to get any takers but they would probably enjoy the experience. Straight after that I found myself chatting with the guitar tutor about a student he had who was making little or no progress and seemed ill-equipped to grasp even the basics. What to do? So I told him of my time in a special school where for some kids even assembling a saxophone with the crook (curvy bit) pointing the right way took some weeks to crack. There were no future Galways, Charlie Parkers or Naftule Brandweins among them but there were improvements in their co-ordination, behaviour and appreciation of music. On top of that they were getting one-to-one with an adult who was neither parent nor class teacher and needy kids just love attention. So now the guitar teacher is determined to enjoy his student on the child's own level and I'm ready to perform for kids in the bottom set and broaden their horizons in any way I can. But first it's the half term holiday and hooray for that. The significance of the title? My memory of the Bible is poor: it was compulsory to attend church on Sundays at my old school and there were various assemblies led my well-meaning hypocrites. This 'Christianity as a tool of the Establishment' was guaranteed to foster rebellion against organised religion in all its forms. However I do remember something about the waste of scattering seeds on stony ground. That may be true for gardeners but when it comes to people no ground is so hard that you can't plant something. Boy: "I actually had my book and drumsticks in my hand but then the house caught fire. We had to leave and I wasn't allowed to take anything with me. I wanted to go back in to get them but the fireman said I couldn't. I said it was my drum lesson today and I had to get my sticks but he wouldn't let me ." Martin: "You forget them again, didn't you?" Martin: "How long did it take you to think that one up?" Boy: (thinks...) "About an hour?" Time better spent practising, no doubt, but now that you're reading this perhaps the effort wasn't entirely wasted. Performing for adults, although not always a breeze, is very different from entertaining children. For a start, adults have chosen to be there and are generally predisposed to having a good time. Kids, in school anyway, are there under sufferance and are not usually allowed to start chatting amongst themselves or drift off to the bar. As a classroom teacher there is time in which to get to know a group and build a relationship. As a freelancer it's often a completely new class each time: new kids and new teacher in charge. There is usually, even within the same school, a completely different culture: ground rules and acceptable standards of behaviour are never the same twice. Yet every teacher seems surprised that there may be other ways of doing things. I am presently in the middle of a series of sessions in which I am trying to revive interest in learning woodwind at a local high school. The place had just built a new library and created a sixth form when the old head retired. He was replaced by a man who was the perfect embodiment of the Peter Principle (by which members of an organisation rise to their level of incompetence). Within two years he had turned the school around, nosediving it into a failed inspection and a 'special measures' regime. Parents capable of exercising choice sent their kids anywhere but this school and music, including woodwind, went through the floor. 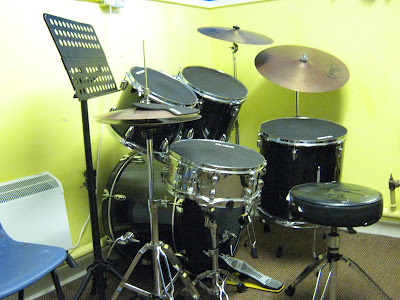 So in attempt to garner students I have been taking in a variety of instruments to demonstrate to Year 7 classes. I am about half way through the series and will report next week when it's all over. To date the highlight has to be the student who was evicted from the room for failing to give an appropriate answer during the roll call. Presumably to maximise the attention he was getting he decided to sprint to the door, failing as he did so to notice the music stand I had set up. The stand went down with the child on top. Fortunately neither suffered any real damage. In all this episode must have wasted ten or fifteen minutes of teaching time as we waited for a senior teacher to come and hear both sides of the story in the corridor outside. I buy a paper most Saturdays and spend the rest of the week trying to read it. This morning I actually made it to the travel section of The Guardian where they drew my attention the their Blog of the Month. It's truly an amazing site called Listen to Africa and it features photos and audio clips gathered on a two year cycling trip. It's gone straight in to my bookmarks. 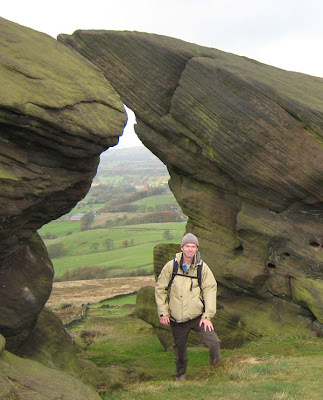 Are you a teacher looking for ideas for the new intake? 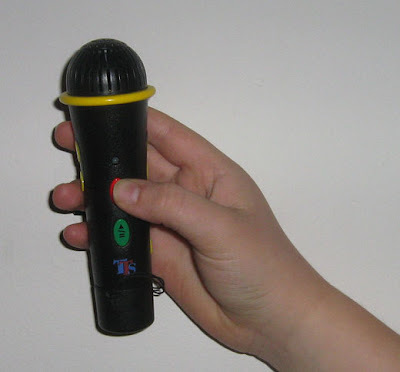 Does your school have any of those hand-held USB sound recorders such as the Easi-Speak? Then this may be for you. I moved house recently and was struck by all the different sounds that contributed my new environment. Your new students may not have articulated it but I imagine the new sounds they have encountered since joining the school must have made an impression. I have described the Easi-Speak recording microphones in earlier blogs but any similar recording device would do for this exercise and many mobile phones will record sound in adequate quality. Form teams of three, one team for each recording device. That gives you one ‘leader’, one to operate the device and one to log the recorded sounds on paper. The leader is the least necessary of the three but can keep their ears open and suggest new sounds to record, freeing up the others to concentrate on their tasks. You could also make them responsible for ensuring the written record tallies with the clips on the recorder. If possible, issue the recorders at the start of the day and collect them at the end. In the next lesson you can ask each group to play back the clips and invite the other children to identify the sounds they hear. 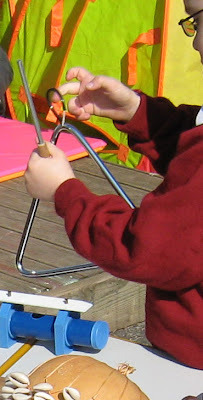 The quality of the results will depend on many factors, not least the ability of the children to handle the technology. Don’t stint on the training here; and that means familiarising yourself with whatever technology you’re issuing. In my experience most children know their own mobile phones inside out so you needn’t worry in that regard. You will also need to reproduce the sound at sufficient volume. The Easi-Speak and most mobile phones have headphone sockets for a standard sized mini-jack so this should not pose a problem. builds confidence in using the technology. develops powers of aural observation. familiarises children with their new environment. provides an opportunity to repay trust. A word to the wise: If you are using Easi-Speaks make sure they are charged up, set to record in whichever format you prefer (WAV or mp3) and the memories are clean before you begin. My informal road test may also be worth a read. I've been teaching woodwind for a little over twenty years now and though it hasn't put me in the Howard Hughes league it hasn't been a bad life. Perhaps my only regret is that I didn't write down all the excuses I've been given over the years by students who haven't practised. 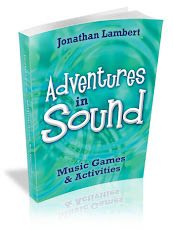 Well, better late than never and I intend to make a list of them for the revamped Adventures in Sound website. I heard a couple of goodies last week. When asked what an eleven-year-old had done over the weekend the reply came: "Nothing. Just lay about." (I hope I was slightly more forthcoming at that age but I probably wasn't.) "Did you play your flute at all this week?" I asked. "No. I didn't have time." I find that kind of logic-defying answer hard to dispute. Better than that was the girl who announced at the start of the lesson that she hadn't had time to practise because she'd had to go to the shop and buy some lasagne for her mum. "Was that the only time you had all week?" "Yes. I'm not allowed to practise until I've tidied my room and I didn't finish that until last night and then I had to go and buy the lasagne. And then we watched Dirty Dancing." It transpired that her saxophone was way down on her list of priorities, below other homework, tidying her room, buying strips of pasta and the movies on TV she described in greater detail later in the lesson. So, in addition to the new free music games page on the site there will soon be a list of the best excuses. Feel free to contribute and be name-checked (if you like). Perhaps you remember one you gave yourself. October's free music Game of the Month, Phasing Out, is now on the website. The site is undergoing some changes and they are all for the better. It will soon feature more free music games suitable for workshop leaders, drama teachers and classroom teachers at both primary and secondary levels. And if you play in a band you could even cause a stir by playing then with your fellow musicians.